In season four, Supernatural changed dramatically thanks to Misha Collins coming in as the angel Castiel. The series quickly flipped a switch from fighting demons to the new and unknown "threat" of angels. Now Supernatural is in its 11th season, and Collins is still with it — thank goodness. As Cas, the 40-year-old quickly became a fan-favorite. He's also admired for his projects outside of TV, including Gishwhes, aka the Greatest International Scavenger Hunt The World Has Ever Seen. "I did it because I just painted myself in a corner where I sort of promised my fans I would do something, and at the 11th hour, I had no idea what to do, so I sort of threw a scavenger hunt at them," Collins says of how he came up with the idea. The concept behind the international scavenger hunt (which is now a five-time Guinness World Record breaker) all started with Collins participating in a hunt while attending the University of Chicago. Then, six years ago, the actor promised his Twitter fans he would do something for them. After seeing the "amazing blossoming of pure joy and art that came out of it," as he describes it, Collins realized this was something he should do every year. Now, Gishwhes has transformed into something even bigger than a fun event for Collins and his fans. Heck, even William Shatner participates. In addition to joining a crazy scavenger hunt with challenges that get people to do some of the most fun and unique things ever, like having NASA name a mountain "Gishwhes" on Mars, the project encourages others to go outside of their comfort zone, be weird, give back, and embrace their true selves. Does it get better than that? No, and it's something Collins wasn't expecting. Admittedly, his intention wasn't to create something that would impact people so meaningfully. He says, "One of the driving philosophies behind [Gishwhes] is 'it is OK to be weird,' and here we’re giving you an excuse to go out and be silly and do absurd things." He adds, "The intention of [Gishwhes] at the outset was to never be a therapeutic enterprise, but if a side effect of the scavenger hunt is that some people are having transformative experiences that is really amazing. I’m just thrilled by it." Now, Gishwhes is returning for its fifth year in a row, and Collins couldn't be more excited. For him, there's nothing better than hearing how a project you create is affecting others in great ways. "I feel incredibly gratified when I hear those things," he says. Giving back isn't something new to the actor. In 2009, Collins started Random Acts, a nonprofit organization that is aiming to conquer the world, one random act of kindness at a time. Basically, spreading kindness and happiness to others is something Collins enjoys doing. 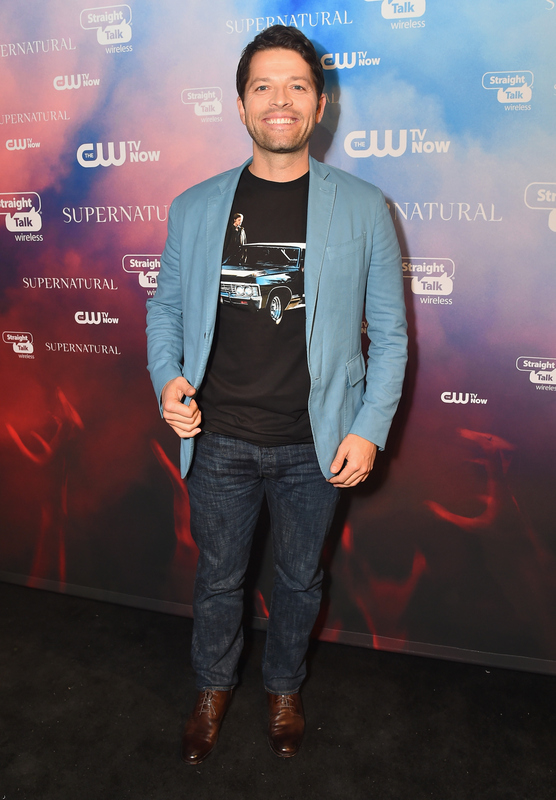 Actually, he loves it so much that he's planning on working with fellow Supernatural stars Jared Padalecki and Jensen Ackles' Always Keep Fighting campaign to give back to those in need even more. "Random Acts is going to be partnering with Jared and Jensen’s Always Keep Fighting campaign, as well," he says. "I think we are eagerly looking for opportunities to collaborate to do stuff together, for sure." You might think Supernatural and other acting projects are how Collins has fun, but according to him, Gishwhes is one of the best things that has ever happened to him. "I’m having more fun doing this than I’ve ever had doing any film role." With that said, if you want to participate, all you have to do is register — either with your very own scavenger hunt team, or Gishwhes will pick a team for you. Just think; if your team wins, you get to visit Costa Rica with Collins. Also, be sure to sign up before registration ends July 20, because what's better than joining an event that's not only fun, but can change the world?